Baby showers are oftentimes filled with brand new gizmos and gadgets that never end up getting used, along with excess wrapping paper that can’t be recycled – but there’s a better (and more budget-friendly) way to do it! Keep reading to find out how you can still throw a party without doing extra damage to your wallet or Ma’ Earth, without skimping on the fun! 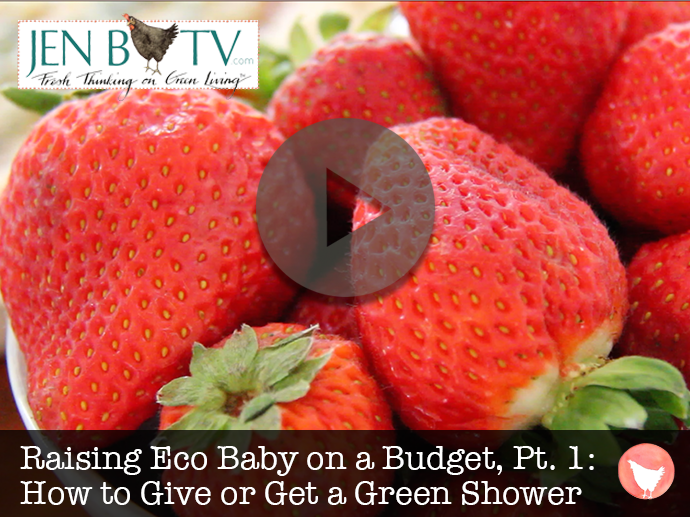 What better place to start the greening of your new life with baby than with your shower?? Plus it makes it more unique and memorable. The fact is that babies do require “stuff” – but really, you don’t want your house to be filled with harmful plastic boo-bobs and meaningless do-dads… err, right? My sweet mom threw a huge baby shower for us. She asked that people find something from consignment or that their own kids or grandkids had tired of. Even still, some party goers just couldn’t take it and HAD to give something new. It’s funny how we are conditioned, isn’t it? Be sure to watch the episode to get the scoop on my favorite tips for throwing the party, and for gifting useful and eco-conscious gifts. Send out cute (and eco-friendly) e-vites through Paperless Post; it cost a few bucks but they’re much classier than the free ones. Set up your baby registry with Simple Registry, you can add anything under the sun – from cleaning supplies to items on Craigslist – and check out my tips on crafting an eco registry to end up with items that you truly need and will use. New Dream is a cool organization with the philosophy of “more of what matters.” They asked me to collaborate with them and provide some of my must-haves for a good baby registry list for their blog. 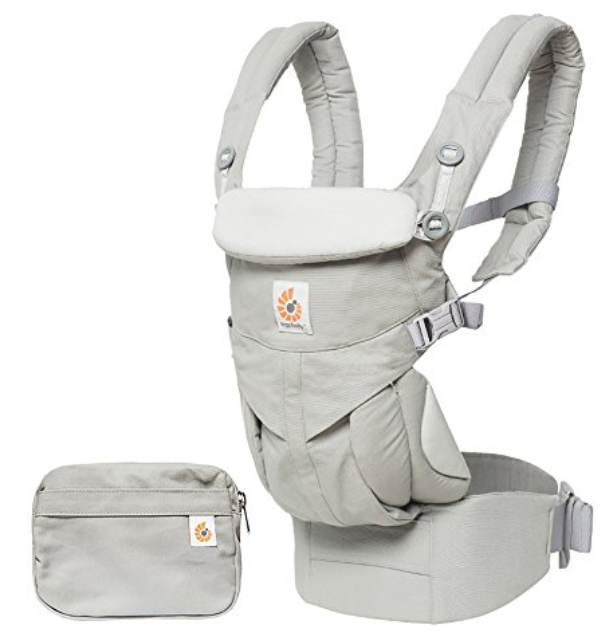 I tried many, many carriers, and this Ergobaby OMNI carrier is the one I found to be the most versatile. The most popular baby shower game is to guess the waist size of the expectant mama by counting the squares of toilet paper.